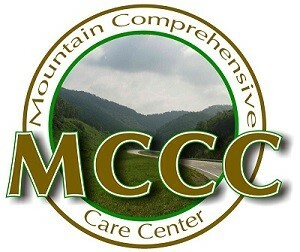 Mountain Comprehensive Care Center (MCCC), an experienced provider of adult and child victim services including domestic violence, dating violence, and other family violence, will expand and enhance services by providing the proposed Family Hope Project in the eight counties of Floyd, Johnson, Lawrence, Magoffin, Martin, Perry, Pike, and Rowan located in eastern Kentucky and Central Appalachia, one of the nation’s most underserved, rural, and economically challenged areas, aiming to serve non-offending family members who have experienced or witnessed domestic violence. MCCC is partnering with Kentucky Coalition Against Domestic Violence (KCADV), Turning Point Domestic Violence Services (TPDVS), Kentucky Department for Community Based Services (DCBS), local Court Systems, Judi’s Place for Kids (JPK), Big Sandy Area Community Action Program (BSACAP), Appalachian Research & Defense Fund of KY (AppalReD), Big Sandy Health Care, Inc. (BSHC), Kentucky Mountain Health Alliance (KMHA), and Sandy Valley Transportation Services (SVTS) on this project. Built on evidenced-based practices, the project will provide comprehensive, age, gender, developmentally, culturally and linguistically-appropriate, outreach and outpatient trauma-focused treatment supported by case management, advocacy and linkages to supportive services. Key evidenced-based practices found to be effective with the targeted population include: Trauma-Focused Cognitive Behavioral Therapy (TF-CBT), Adapted Dialectical Behavior Therapy for Special Populations (DBT-SP), and Parent-Child Interaction Therapy (TF-CBT) for children and joint parent sessions while Motivational Interviewing (MI) and Cognitive Behavioral Therapy (CBT) will typically be utilized with adults. Services will be provided through a three-person team comprised of the Child Therapist, Adult Therapist, and Peer/Community Support Associate. This team will allow for bonding while also providing support for wraparound services and aftercare for up to three months post discharge. Services will be identified through comprehensive assessment and development of appropriate Person-Centered Plans. Through the Family Hope Project, MCCC is aiming to serve children and youth who have been exposed to domestic violence and associated family violence and their non-abusing parent. Project goals include: 1) improve systems and responses to abused parents and their children and youth exposed to domestic violence; 2) coordinate and provide new and enhanced non-residential services for children and youth exposed to domestic violence; and 3) enhance evidence-informed and practice-informed services, strategies, advocacy and interventions for children and youth exposed to domestic violence. In order to reach our goals and overcome challenges, MCCC plans to implement the following strategies: 1) provide project activities in multiple counties decreasing distance to services, having staff travel throughout the region, particularly for case management, and linking participants to transportation through Sandy Valley Transportation Services or providing gas cards to assist those not on public transit routes; 2) staff will assist participants with child care, linking them to Head Start services through Big Sandy Area Community Action Program as available as well as enrollment in state programs that will assist with child care vouchers. Sessions will also be provided at various times for those parents seeking therapy who have children in school. Case Management will work cooperatively with participants to address these needs in the service plan; and 3) staff will be representative of the Appalachian region, receive specific cultural training, and ensure that services and activities are conducted in a culturally-competent manner.